For those who do not already know, you do not simply decide one day that you are going to run a triathlon. It takes a great deal of training and you must either be in peak physical condition, have a well thought out plan, or both. In this case, it would behoove you to know what your capabilities are and how to gauge progress or regression. For the biking leg of a triathlon, one of the best ways to figure this out with the use of the best power meter. While power meters are ostensibly meant to be used by professional cyclists racing at the highest levels of competition, they have found a home with virtually every sport that involves the use of a bicycle, whether it is a race or not. Still, there are as many different types of power meters and as many different features as there are different types of competitive bike riding. As such, figuring out which is the best power meter for triathlons can be a difficult and confusing task. That is why we have put together a list of the 8 best power meters, highlighting what each one does best. Then we provide a helpful buyer’s guide, so you can find the best power meter to suit your training needs. On the surface, you would be hard-pressed to find a better company than Favero Electronics when looking for a power meter. The company ostensibly makes only 2 products: the Favero Assioma pedal power meter and the bePRO professional power meter. What is not immediately known is that Favero actually makes the majority of the profits manufacturing incredibly precise sporting sensors as well as numerous ancillary sporting electronics. The fact that Favero has such a broad product line and consumer base, including a sizeable chunk of their sales going business to business, only makes it all the more surprising that they provide the best performing power meter that we saw. Still, the company has been in existence for over 3 decades, and in that time, they have identified numerous weak points with other power meters, ensuring their own product does not carry them. When it comes to pedal power meters, we would find it difficult to give the build nod to anyone outside of Favero Assioma. In pretty much every category, the Favero Assioma comes out on top time and time again beginning with its durability in the sense that this is one of the few pedal power meters we saw which is 100 percent waterproof. To be technical, the Favero Assioma is waterproof rated to IP67 which is plenty for most biking needs, so long as you do not leave them submerged to any real depth for any length of time, they should keep on going. In terms of its profile, the Favero Assioma cannot be touched with a stack height of only 10.5 mm and a combined weight of just under 300 g. If you need a pedal power meter whose compatibility is not marred by its frame, then the Favero Assioma is the best option for you. Finally, this is one of the few pedal power meters we saw which comes with a rechargeable Li-ion battery that can be recharged with a USB cable making it by far the most convenient and inexpensive in the class. While pedal power meters often get something of a bad rap regarding the true accuracy of their readings, it is often irrelevant so long as the readings are at least consistent. That said, the Favero Assioma makes it a point to ensure that its readings are not simply usable due to consistency but that they are genuinely accurate as well. In fact, the Favero Assioma are tied for being the most accurate power meter on our list with an accuracy rating of only 1 percent variance. A big reason the Favero Assioma is so accurate is that it has an Instantaneous Angular Velocity system, or IAV, which provides the true measurement of the angular velocities applied to the pedals as opposed to an average reading. The Favero Assioma comes with as the Automatic Temperature Compensation system or ATC ensures that the sensors provide consistent readings across a much wider temperature range than some of the other options we saw. Garmin is likely far more well known for their GPS tracking systems, primarily on automobiles but expanded to include pretty much every scenario, but they have grown to include pretty much every major category of product which uses sensors to track the user’s actions in some way, shape, or form. As such, while Garmin may not actually specialize in power meters specifically, they do focus on the general type of technology that is used for virtually every sensor for consumer use. When it comes to the Garmin Vector 3 and 3S, this flagship power meter provides a great performance with some of the best specs on our list. That said, it does have a flaw which ultimately reduces its versatility and prevents it from being the very best power meter that we reviewed but still allows it to be the best pedal power meter on our list. Despite what it may seem, power meters are not inherently protected simply because they are often installed near or around the central portions of the bike. This is especially true for a pedal type of power meter because the pedals stick out from the bike more than any other part outside of the handlebars. As such, any pedal type of power meter will need to be well-protected or designed in a way which accomplishes the same. One of the best things that the Garmin Vector 3/3S does to implicitly protect its power meter is provided one of the smallest profiles on a pedal power meter that we saw. At only 12.2 mm, the Garmin Vector 3/3S is extremely slim and is unlikely to catch on pretty much any standard bike, though some custom bikes could still present issues. While it is technically one of the heaviest power meters that we saw, the fact that it is also pedals makes the Garmin Vector 3/3S no heavier than a pair of high-end Shimano pedals. Of course, one of the best qualities of pedal power meters in general, not just the Garmin Vector 3/3S, is the fact that they can be quickly and easily transferred from one bike to a wide variety of different models and even different makers. The only real downside of the Garmin Vector 3/3S’s build is the fact that it is technically not waterproof rated, though the relevant seams are sealed. If you are looking for a power meter, then the readings are going to be the most important factor, but it is important to remember which readings are important and which are simply nice. For instance, the dual sensors in the Garmin Vector 3/3S provide you the option of reading the power balance between your alternating pedal strokes. However, unless you are returning from a serious lower-body injury, chances are that your power balance is more than within the acceptable limits of efficient riding, as per your need for a power meter to improve your performance in the first place. That said, having 2 sensors does still provide for more accurate readings in general, though the pedal form will inherently make those readings a bit less accurate due to the ancillary forces applied. On the plus side, the Garmin Vector 3/3S provides exceedingly consistent readings, so you can still achieve the same results once you figure out what the “secret” zero is. PowerTap is similar to some other companies that we saw in that the brand not actually its own company and was instead owned by a larger conglomerate. This can create issues where the parent company, either on purpose or through ineptitude, hamstrings the company in question. Thankfully, PowerTap’s parent company, Saris, also specializes in biking needs and does so at a professional grade. On top of that, all Saris products, including PowerTap power meters, are made in the USA, so you can feel good about supporting your own economy. That said, the PowerTap P1 does leave a bit to be desired in some contexts, though it is by no means a poor product. Still, compared to many of the other power meters in its class, it often comes up a bit short, thankfully, this applies to the price as well. More and more it is becoming increasingly important for virtually every product we buy to connect to the internet or directly to the smart devices pretty much every person keeps on them at all times anyway. This is just as true for the power meter market where it has become more or less expected that the power meters will connect to a variety of devices using either the Bluetooth protocols or the ANT and ANT+ protocols. There are a couple other protocols in use, but they are far more likely to be at least somewhat proprietary and do not warrant their own mention outside of that particular context. One thing that is not a given regarding a power meter’s connectivity is how easily or effectively you can use software to actually read the information generated. Thankfully, one of the PowerTap P1’s strongest qualities is the incredibly robust app included which provides a thorough and comprehensive breakdown of the various data points, showing you trends across scope, scale, and setting. The PowerTap P1 may arguably be the most difficult power meter to place primarily because it straddles the line between the different grades of the power meter in both price and quality. For instance, the readings themselves are fairly consistent between rides and even if you transfer the PowerTap P1s from one bike to another, the “true” accuracy is still a bit debatable. On top of that, this power meter also provides the second best accuracy that we saw with 1 ½ percent. However, it also has a somewhat shorter battery life than some of the others at only 60 hours and the batteries must be AAA, which means a complicated exchange system for rechargeables or expensive replacements otherwise. 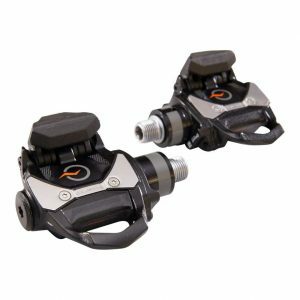 Another potential issue is that this is by far the heaviest power meter that we reviewed, and it is even heavier than most professional grade pedals. As such, this is likely the best training power meter, but it is not suitable for use during an actual race. Velocomp is definitely a bit unusual and familiar all at the same time because its backstory is exactly what you look for and models similar to many of the other top brands except for one major difference: not only are most of the founders avid cyclists, but they are also scientists, programmers, and engineers. As such, not only was the company founded by people who truly care about the performance and reputation of their product, but the founders are also the same people who work to develop and refine their products and technologies, and that last bit is definitely one of this company’s highlights. The Velocomp PowerPod is definitely not like the rest of the power meters that reviewed because it is not actually a power meter in and of itself. Instead, the Velocomp PowerPod is better understood as the power meter’s processor that receives and computes the various bits of data. 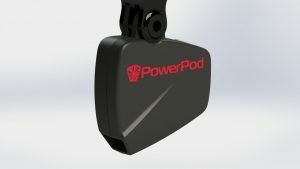 In fact, the Velocomp PowerPod does not even come with its own sensors and must be connected via an ANT+ connection to a separate set of sensors, though it is at least extremely compatible in this regard. Still, the Velocomp PowerPod does not actually sense the forces and instead serves as something of a control center for your power meter experience. Aside from the fact that the Velocomp PowerPod can work with virtually any sensor, it also demonstrates the same kind of compatibility with the various bike displays on the market as well. This is important because it is key to what makes the Velocomp PowerPod so great in the first place. Essentially, the mount was designed to be easily removable so the Velocomp PowerPod can transfer from bike to the next and be compatible with the different sensors and display if need be. As such, this single power meter can be used to cut the cost of a multi-bike arrangement by hundreds, even thousands, of dollars. Anyone who has been involved in enthusiast cycling or better has likely heard of CatEye considering they are one of the oldest companies on our list having been around for almost 6 ½ decades. In that time, the company has expanded their catalog but made sure to keep it focused explicitly on cycling accessories with a particular focus aimed at electronic cycling accessories. As if this were not impressive enough, CatEye made it a point to bring the people from 4iii power meter sensors to ensure that they would put out the best performing crank power meter on the market. Considering this power meter provides better readings than nearly all the others we reviewed, we would say CatEye succeeded. If you are going to tout your product as being like a supergroup project, then the performance better back up the hype. Thankfully, the CatEye 4iiii did not simply pump everyone up for nothing as this power meter is tied for being the most accurate on our list with a discrepancy of only 1 percent. On top of that, this is actually one of the few crank power meters we saw which is able to track the triaxial strain on the crank. 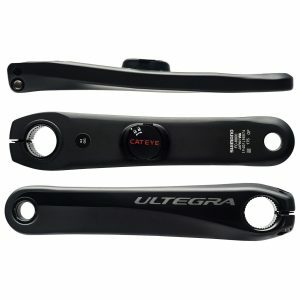 This is important because it allows the readings that the CatEye 4iiii provides to be more accurate, and far more accurate than most other crank power meters. When it comes to the CatEye 4iiii, the ease of use is mostly a go with a few caveats that you must be aware of. 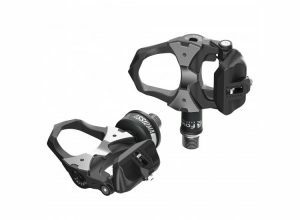 For instance, this is not at all a great crank power meter for MTB as it has difficulties with some of the stresses of that particular type of cycling, though to be fair, the CatEye 4iiii would not fare well in a trick or vert competition either. That said, this power meter is incredibly easy to pair with virtually any display unit as it does not use a proprietary protocol like some of the other brands that we saw that wish to ensure you must purchase their other products as well, whether you want to or not. Stages Cycling is definitely a reputable company, even if they have only been around for less than a decade. Of course, it does not take long to develop a great reputation when your products are part of the loadout teams winning world championships use. The fact that the company has actually been involved in more world championships than have been in existence is its own testament to the performance of the product. That said, Stages Cycling powermeters are somewhat known for not providing the most accurate results, even if their readings are some of the more consistent we came across. When Stages Cycling went to improve their GEN 2 Stages, they decided not to look towards their competitors for inspiration and simply sought to improve the base product they had. They worked out wonderfully as the GEN 3 STAGES has seen a major increase in its consistency primarily due to the addition of updated sensors, specifically the accelerometer and the gyroscope. On top of that, the GEN 3 STAGES’ radio transmitter was also upgraded allowing it to provide a clearer signal whether using the ANT+ or Bluetooth protocol. This means that even in areas with a great deal of electrical interference, the GEN 3 STAGES will provide a steady signal longer than most. While the Stages Cycling team may have actually gotten most of their prestige from their indoor cycling lineup, they still managed to provide a great off-road powermeter. Granted, they were actually trying to make a road cycling powermeter but overestimated what kinds of environmental dangers and risks the power meter would be exposed to. As such, not only is the GEN 3 STAGES the most waterproof powermeter we reviewed but it also has the longest battery life at 200 hours. This means that you will have no issue riding in the rain, through low waters, or even across a shallow river bed. Still better, the GEN 3 STAGES is also one of the lighter power meters that we saw at only 20 g each. That said, make sure to bring extra batteries just in case since you cannot recharge them beforehand. Watteam is closed. Their support team is no longer available. If you are looking for a company whose founding and focus lie exclusively on bicycle power meters, then you likely have unrealistic expectations for a niche market and got completely lucky at the same time. Watteam’s origin story plays out like something from a film where 3 biking enthusiasts were unsatisfied with the power meter options at their disposal. Either the power meters were far too expensive for the performance or they were far too specialized for people who are not sponsored riders, though, ironically, they now sponsor their own riders. From that inspiration, the Powerbeat was conceived and over the past couple of years has been revised. Watteam prides itself on providing high-end sensor technology to consumers at often half the price of their nearest competitors. While Watteam is legitimately able to provide this, it is not without a caveat and this is that the consumer is responsible for assembly. This is a bit of a lengthy and involved process and ultimately forces you to wait a full 24 hours before testing out your power meter, but it does seem to account for a significant drop in the cost. In fact, with this model, in particular, you are actually purchasing 2 compete sets, 4 total sensors, which allows you to install 2 complete power meters on different bikes for the price that you would normally pay on a single power meter from a different brand. That said, not everything about the Watteam Powerbeat G2 is inconvenient, and it definitely costs far less than many of the other options on the market making this a great option for a beginner or occasional enthusiast. The battery may only last for 60 hours but it is easily rechargeable and self-contained within a body that is rated waterproof to IP67. On top of that, however cumbersome the installation of the Watteam Powerbeat G2 may be, the actual use of it is fairly easy, which is a nice departure from some other models we saw. Finally, this power meter comes in at a slim 21 g, which may not be the least on our list but is fairly light nonetheless. Watteam POWERBEAT power meter- so how does it work ? The jump from the original Powerbeat G to the Powerbeat G2 was fairly substantial from an experiential perspective as it was simply a nicer product to use with most of the major flaws having been fixed. When it came time to upgrade the Powerbeat G2, Watteam realized that there was no sense in trying to break the mold and instead focused on providing incremental improvements. As such, the Watteam Powerbeat G3 is not significantly more expensive than the Watteam Powerbeat G2 and should not be seen as a must have if you already own the predecessor. That said, if you do not own or have ever regularly used a power meter already, then the Watteam Powerbeat G3 is arguably the best beginner power meter we saw. 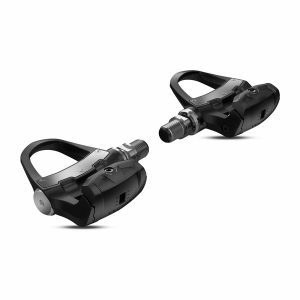 Considering that the Watteam company was founded on the idea of providing a power meter that could more easily transfer from bike to bike, it is a bit surprising that the Watteam Powerbeat G2 is far more compatible with a wider range of Shimano brand components than it is the other major brands like Campagnolo or Cannondale. Still, the fact that this is crank power meter does give it some advantages, though this could potentially be undone by one of the “features” touted to save money. Specifically, the Watteam Powerbeat G2 does not come “pre-assembled” and will require you to install the sensors onto the bike’s crank. Even better, this installation requires that you physically glue the sensor to the crank and wait 24 hours before you can calibrate and zero the power meter. While in a vacuum, some of the qualities surrounding the Watteam Powerbeat series may be flaws, we like to think that the involved installation process is a great way for beginners to further become intimately aware of how their bike functions beyond the obvious chain and gears. Thankfully, much like its predecessors, the Watteam Powerbeat G3 does not feel the need to challenge the user once the power meter is assembled and the app works easily without too much clutter or confusing menu systems. Also, the rechargeable battery also makes keeping track of its power that much easier, especially for new users. This is easily the most meaningful consideration when looking for a power meter primarily because it will inherently determine more of the most important factors than any other individual quality. In this instance, the power meter type will generally perform some fashion of a balancing act between ease of assembly and disassembly or accuracy. Of course, this is not necessarily a proportional split, and some types are generally just seen as not quite as good as others, though these types will often be a bit less expensive than their more capable counterparts. Still, you should not necessarily consider this the end all, be all when making your decision as there are plenty of different options across the types and intended markets that can work for your particular needs. 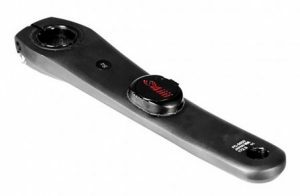 Crank Arm – This is one of the first types of consumer power meters made and continues to be one of the more popular types of power meters, though it should be noted that this is due more to a conflux of factors more than sheer performance. In fact, crankset power meters are noted for being some of the least accurate power meters on the market largely because they are further from the primary source of power generated and also have to account for nearly as many different force variables as pedal power meters. On the other hand, this type of power meter will often include some of the least expensive budget-friendly options in the class. 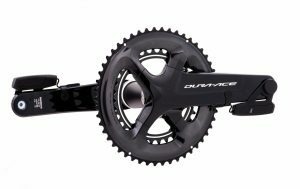 That said, powermeter crankset can be used in either single or dual arrangements, though the dual arrangement is generally necessary to get the power balance readings. Remember, the power balance is likely not the most important factor unless you are recovering from an injury, but if you do happen to reach professional levels of training, then this is not a place to save a little money. Ultimately though, the power meter crankset is better served as a training power meter rather than racing power meter primarily because outside of being less accurate it will often be a bit less consistent too due to the crank having the same discrepancy of different applied forces as pedal power meters do. Spider – The spider type of power meter bridges the gap between the strictly crank type of power meter and the chain type of meter in terms of its accuracy and precision, though it does present arguably the most durable type of power meter as well. Still, choosing to go with a spider power meter is generally no small order as the transfer of a unit from one bike to another is a far more time-consuming and labor-intensive process than with pretty much every other type of power meter. On top of that, spider power meters are also far more likely to be made for specific bike maker chasses making them far less likely to work with multi-manufacturer setups. Finally, the most expensive power meters on the market are quite often spider power meters, though the more advanced models definitely justify this cost due to the ability to include more sensors on what is usually a larger frame than most of the other types. This creates a situation where spider power meters generally cluster at the ends of the spectrum with incredibly accurate and precise models and others which are some of the least accurate, though they are quite often at least consistent. Basically, when it comes to spider power meters, it truly pays to spend the extra money for a top of the line model but only if your level of competition calls for that level of training. 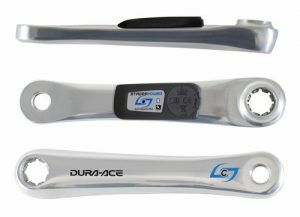 Bottom Bracket – The bottom bracket power meter for bikes type is definitely not for everyone as it will require far more of an investment in various qualities than most riders are willing to make, but it does present arguably one of the more accurate and precise measuring systems for certain factors. This is primarily due to the fact that the bottom bracket power meter uses photoelectric sensors which in and of themselves are exceedingly precise. The issue then comes from the fact that a bottom bracket sensor is only able to detect the input from a single source which then technically makes the accuracy of a bottom bracket power meter based on an estimation in the first place. This also makes identifying power balance all but impossible since the estimate doubles the sensor’s reading. There are some bottom bracket power meters that include the use of dual sensors in order to provide a complete reading of all power factors. Of course, these are the top of their market which generally provides equitably accurate and precise readings. One thing that some newer bottom bracket power meter models are incorporating is the ability to easily transfer a base relay system between the sensors and the bike display. This can help alleviate some of the compatibility issues bottom bracket models may have, though it does often require you to stay within a specific brand for all of your power meter needs. Wheel Hub – When it comes to the top performing power meters, there are few if any which can top the best hub power meters. In fact, hub power meters for bikes have quite a few advantages over most of the other types except for one: price. Even within their respective classes of accuracy, hub power meters have a tendency to be a bit more expensive than many of their respective competitors, though there is a good reason for this. For one, hub power meters have arguably the easiest installation of any type as it simply requires changing out the hub of the bike as the sensor is actually located within. While the ease of the installation is a great touch, the fact that this design inherently allows the hub power meter to travel from bike to bike so long as the tires are compatible makes this by far one of the easiest types of bike meter to use for a larger training and racing system, and will potentially save you money for these larger, more professional arrangements. Finally, because the sensor is located in the rear wheel, their accuracy will actually be a bit lower than in actuality. That said, this type can often be exceedingly precise providing you with the information you actually need to be able to tweak your training regimen. Of course, for those who are attempting to fix power balance issues, this is not the ideal type and cannot differentiate between the alternating strokes. Chainrings – For those with even a rudimentary understanding of how bicycles work will immediately understand that chain power meters are by far the most accurate type around. This is because the chain is directly responsible for the locomotion of the bike, so these readings are about as true to reality as you can get, assuming the sensors themselves are accurate and precise. That said, this type is definitely a bit more limited in some respects, especially when it comes to identifying and fixing power balance issues. Still, if you are looking for the most accurate readings of the power generated at different sections of a leg or even for just general practice over different sections types, this is the type of power meter for cyclists you will want to use to fine-tune your riding strategy. While it is more than possible to approach your training so technically with other types of power meters, chain power meters make it such an easy task by taking all of the conversion or guesswork out of it. Of course, like with many of the more involved and medially located power meter types, chain power meters do not transfer from bike to bike as easily as some of the more distal power meter mounting locations. On top of that, high-end chain power meters have a tendency to be more expensive than most of their similarly classed competition making this a more sizable investment and pretty much-dictating use at a higher level of competition for the rider to justify the cost. As such, this type is often best served for a rider’s racing bike while a less expensive model and type often adorn their training bikes. As we can see, there are plenty of great options regardless the type of power meter you prefer with your use of displays, apps, and arrangements being far more important at this point in the product’s development. So when you look for the best power meter for bikes to suit your needs, it is a good idea to identify your level of involvement as that will likely inform your decision more than most. 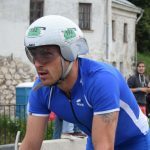 Of course, there are plenty of people who run triathlons as a near full-time profession, and for these racers, we recommend the Favero Assioma which is the clear and uncontested victor. Really, with the various additions in terms of environmental protections, the updated measurement system, and top-tier accuracy, or the incredibly durable and compact build, it is difficult to find a true flaw with this power meter. I bought the G2 last summar but never got them to work properly, not with the Polar V650 and not with the Powerbeat App. Service was friendly and eventually I got a new pair of sensors. Unfortunately, the replacements were just as faulty. Rolf, thanks for the current information. Soon we will update the power meter reviews. I just bought an Avio powersense power meter its pretty much like stages or 4iiii as its left crank mounted, but its dirt cheap… 200 pounds! What is wrong with you guys? Watteam has been bankrupt since last year. Even if they weren’t, the product only sometimes worked.